Today, Holy Thursday, is the day for singing the ancient chant Ubi Caritas! Where charity and love are, there is God. The love of Christ has gathered us into one. Let us exult, and let us take delight in Him. Let us fear and let us love the living God. Let us love out of a sincere heart. This of course is only the first verse. But it is beautiful! And totally appropriate for today’s feast! Apparently this chant was composed sometime between the fourth century and the twelfth century. Now how is that for historical precision? I am not sure what Mr. Green means by “before the formation of the Catholic Mass,” given that Our Lord formed and instituted the “Catholic Mass” on the Thursday before he died. I find Ubi Caritas, on page 664, as the last antiphon offered to be sung during the washing of the feet ritual. There appear to be at least nine (yes, count’em, nine!) different antiphons that can be sung during this ceremony. After the Gospel, whilst the Priest performs the ceremony of the washing of the feet, the following chants are sung. I have always admired the choir that can sing all nine antiphons before the priest washes twelve feet. Perhaps this is an indication of how much time the priest should spend washing each foot. Or, speaking as a choirmaster with nine antiphons and psalm versicles to sing, maybe there should be mandatory policy that requires washing both feet! With twenty-four feet to be washed, I think we could squeeze in all those antiphons and maybe even repeat a couple. Who composed the prayer? Who composed the music? When precisely was it composed? 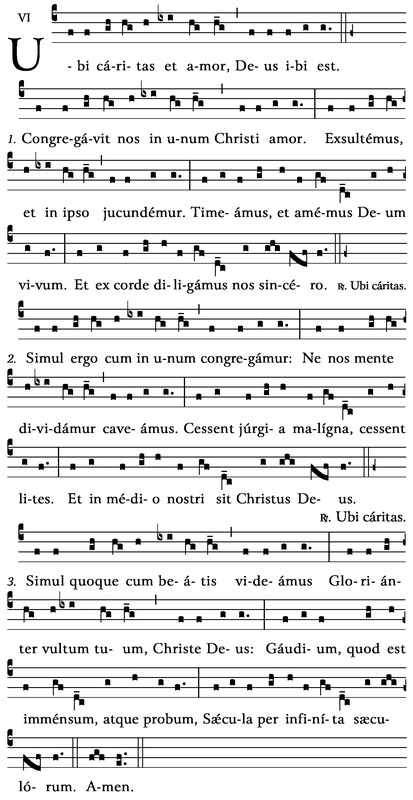 Although Ubi Caritas is certainly among the most beautiful hymns in the chant repertoire, this side of heaven we will never know the answers. 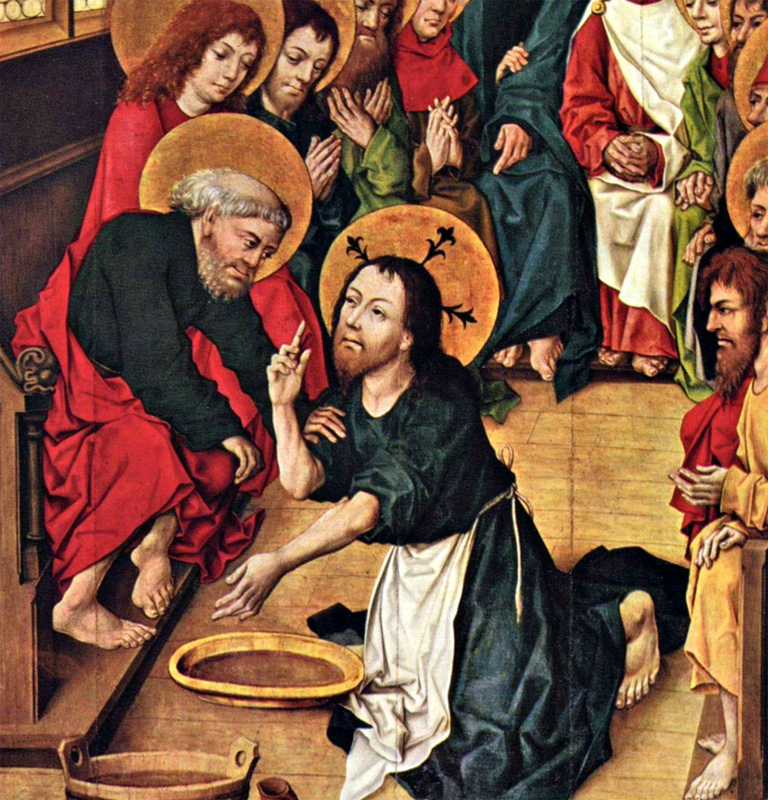 This entry was posted in beauty, Easter, Feasts, Sacred Music, Sacrosanctum Consilium, The Mass, The Passion and tagged Holy Thursday, mandatum, Sacrosanctum Concilium, ubi caritas, washing of feet. Bookmark the permalink.